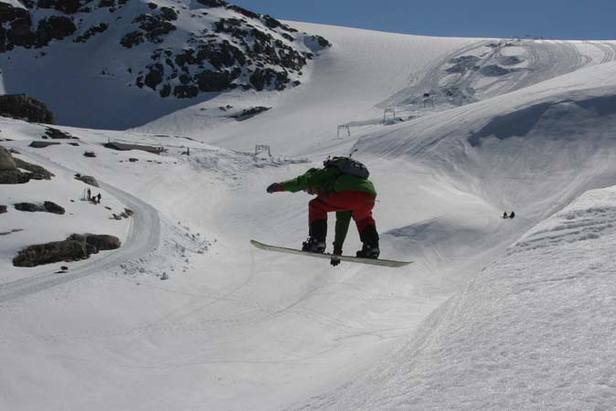 In Northern Europe the region's highest ski slopes on Galdhoppigen in Norway (1850m) opened for the season at the weekend, they'll stay open until October. They join already open Norwegian ski areas Folgefonn and Stryn putting Norway in third place behind Austria and the US for ski areas currently open. Over the border in Sweden Riksgransen is starting it's brief period of offering skiing under the midnight sun and further East, Ruka in Finland still has slopes open. In Scotland there was more fresh snow last weekend, and cairngorm is continuing to open for weekend snow sports. The centre is using the Ptarmigan and Ciste tows as well as the funicular railway. The slopes are open from 10am - 4pm and tickets are available for the whole day or for three hour sessions.